Duplex stainless steelsare mixture of austenitic and ferritic. They provide higher corrosion resistance than the austenitic stainless steels. They are also more resistant to stress corrosion cracking than the austenitic stainless steels. They have higher strength than the austenitic grades. Popular UNS duplex grades include S32101, S32304, S32003, S31803, S32205, S32760, S32750, S32550, S32707 and S33207. Typical applications are water treatment plants and heat exchanger components. 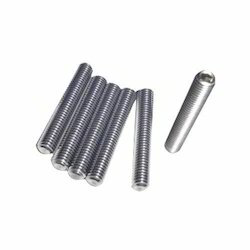 We are one of the topmost manufacturers of a wide range of optimum quality Duplex Stainless Steel Nut Bolt. Manufactured in adherence to the industry set norms, these products are known for their resistance to corrosion, fine finish, and durability. 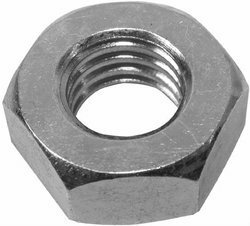 For the purpose of ensuring a defect free range, these nuts and bolts undergo various quality assurance checks. Note: For More Details Prefer to PDF File. We are one of the topmost manufacturers, suppliers and traders of a wide range of optimum quality Duplex Stainless Steel Nut Bolt. Manufactured in adherence to the industry set norms, these products are known for their resistance to corrosion, fine finish and durability. 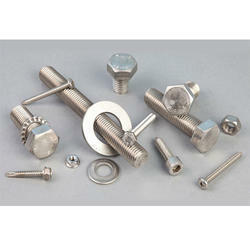 Looking for duplex-steel-uns-s31803-uns-s32205- Bolts & Nuts ?